If she made the nation made go 'Ohh la la...' with her bold and sensuous act in 'The Dirty Picture' in 2011, this year she came on screen in a serious and no-sense avatar in 'Kahaani'. The thriller saw her carrying the entire show alone and helped her proved that she is talented enough to portray any character with conviction. With her intense acting, the 34-year-old changed the mindset that Bollywood is a male bastion. Year 2012 saw Katrina in three different avatars - first, as a sensuous dancer in item song 'Chikni Chameli' in 'Agneepath'. Then she donned the role of a Pakistani ISI agent in 'Ek Tha Tiger' and cherry on the cake was her protrayal of a religious girl in Yash Chopra 'Jab Tak Hai Jaan'. The multi-talented actress, seen as ultra modern girl in films like 'Dostana' and 'Anjaana Anjaani', stunned the audiences as an autistic Bengali girl Jhilmil in 'Barfi!'. Priyanka did complete justice to the character and made viewers forgot her former beauty queen image. If that was not enough, she wowed everyone with her singing debut, international music single 'In My City'. Audiences saw the Kapoor girl in different roles this year. If she played a vibrant hairdresser in 'Ek Main Aur Ekk Tu', she was seen as a Pakistani doctor in 'Agent Vinod'. In 'Heroine', she played an actress, who goes through the harsh reality of stardom, while 'Talaash' saw as a prostitute. One can say that Kareena has surely matured and trying to be versatile. She entered the industry like a breath of fresh air in last year's release 'Ladies VS Ricky Bahl'. 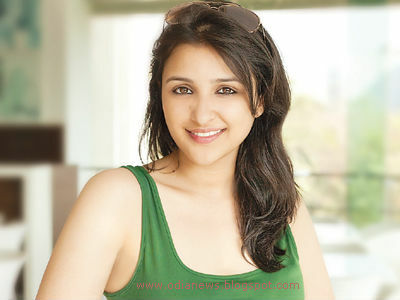 With 'Ishaqzaade', she has dispelled the notion that she is a one film wonder. Her initial introduction was that she is Priyanka's cousin, but she got rid of that with her performance in 'Ishaqzaade'. Her the girl next door Punjabi looks seems to have clicked with the young audience.